This is a sponsored article on behalf of National Art Pass with Art Fund. If you absolutely had to choose — we're talking if your breakfast depended on it — what would you say is the 'perfect work of art'? Do you prefer the drip-style riot of colour and paint of a Jackson Pollock, or the refined Renaissance grandeur of a Raphael? Because if there's one thing we can all agree on, it's that no-one can really agree on art. With so many fantastic museums and galleries spread out across the city, London is a culture vulture's paradise but exhibition hopping can get pricey — especially if you have varied artistic interests. 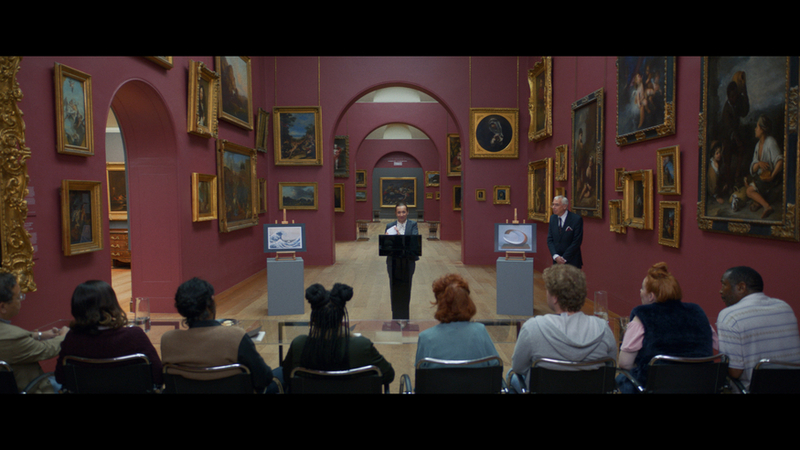 That's where a National Art Pass comes in handy, as you'll see in this quirky new film from Art Fund. A National Art Pass can help, when, for example Harry Potter: A History of Magic at the British Library has been on your to-do list for months but you've also been eyeing up Cézanne Portraits at the National Portrait Gallery, or maybe the animal lover in you would prefer to see Whales: Beneath the Surface at the Natural History Museum. Why not cut the indecision and buy yourself an art pass? That way you can see all three for half the price. We're pretty sure you'll be the envy of the queue when you're getting a whopping 50% off major exhibitions including those at the British Museum, Tate and the V&A. Whether you’re into surrealism, fashion or contemporary art you’re bound to find something you love with a National Art Pass. Nab yourself one of these nifty, beautifully designed cards and alongside 50% off major exhibitions you'll gain free access to over 240 museums, galleries and historic houses across the UK, including historic institutions, such as Kensington Palace, Cardiff Castle and Lyme Park House and Garden. That means you get to fill your spare time with maximum culture, for minimal money — whatever your artistic preferences. Treat yourself or a mate to a National Art Pass today for just £65 for an annual membership.